64mm/3 c-c Cup Pull The Liberty 2-1/2 or 3 in. 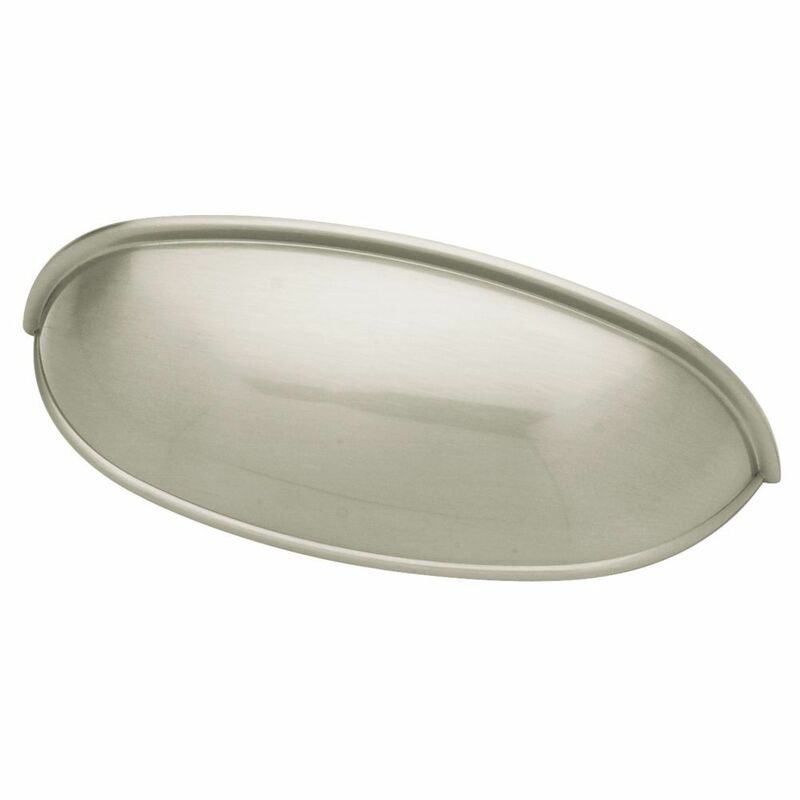 Dual Mount Satin Nickel Cup Pull offers a casual style that can fit with many decorating designs. This pull cup design is easy to install with the included 8-32 x 1 in. machine screw. Complement your style with this beautiful cup pull. 64mm/3 c-c Cup Pull is rated 5.0 out of 5 by 2. Rated 5 out of 5 by Hullo20 from I love the look! I needed to upgrade the look of a couple of dressers. What a difference with the new cup pulls. I was amazed and so pleased. Of course, the pulls were easy to install. Even a senior lady (which I am) can install these in a short time period. I love the new look.